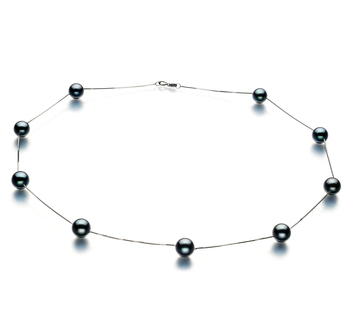 Round shaped pearls are the main standard of quality and Japanese Akoya pearls are flawlessly round. 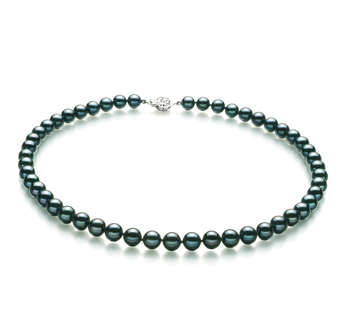 They very easily surpass Freshwater pearls when it comes to the quality of their shape. 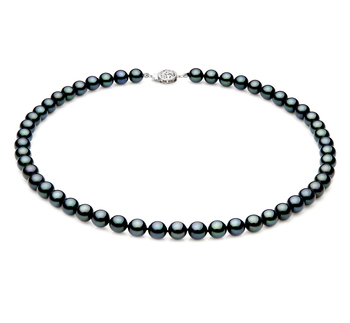 As you look at any Japanese Akoya black pearl necklace they display an exemplary luster that no other pearls are able to match. They are so superior to Freshwater pearls, which is one of the reasons why they command such high prices. These pearls may display some small blemishes to their surface, but this is a characteristic you will find on all naturally occurring pearls. But their amazing luster helps to make any such imperfections on the surface of the pearls difficult to see. Each item in our black Japanese Akoya necklace collection shares one core feature, in that they are very elegant. So why not take a look at what is available you are sure to find one that is perfect for your personality. 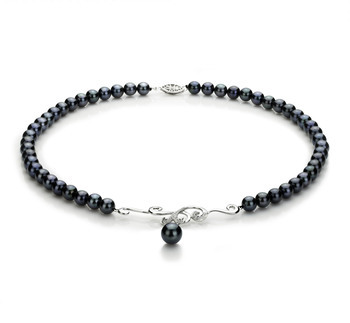 Here are some tips to help you when the time comes for you to invest in a black Japanese Akoya necklace. A single strand of black Japanese Akoya pearls is a symbol of femininity and elegance. Such jewellery can be worn with casual wear or with more formal attire. You just need to make sure that this is the key accessory for the outfit. 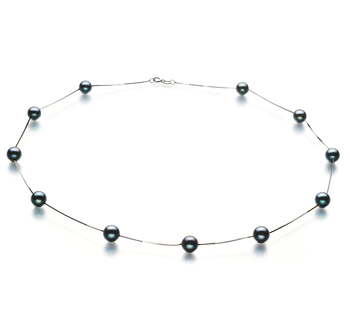 To really make a statement you may want to consider a single strand black Japanese Akoya necklace which also includes a much larger pearl that hangs like a pendant in the center of the piece. These are very delicate looking necklaces that bear a special kind of grace. The use of a transparent nylon filament to hold the pearls in place helps to emphasize their beauty even more. 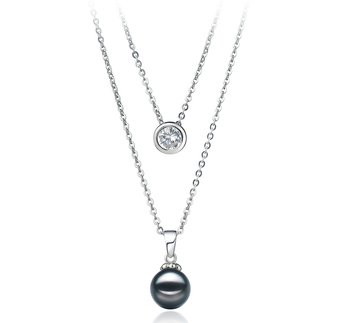 A pendant black Japanese Akoya necklace is made up of single pearl that then hangs from a very delicate silver chain. This kind of necklace is suitable for wearing during the day or going out in the evening. To further enhance the beauty of the pearl an additional shorter chain is added to the design and hanging from this will be a single cubic zirconia gemstone. This is something that a young girl or teenager may love to wear. 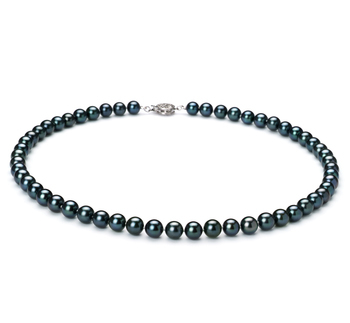 Today Japanese Akoya pearls are now among some of the most appreciated pearls due to their impeccable quality and this is why we have such a beautiful collection of necklaces to offer you. 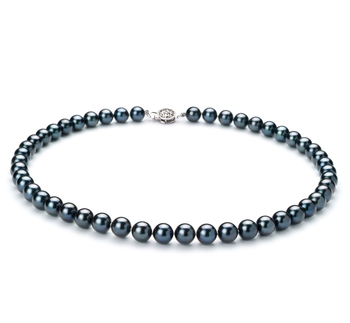 Every one of the black Japanese Akoya necklaces in our collection is luxurious and elegant and the addition of a delicate sterling silver clasp helps to enhance the beauty of these pearls even further. They can add a touch of class to a casual outfit and help to elevate the elegance of more formal wear because of their sophistication. 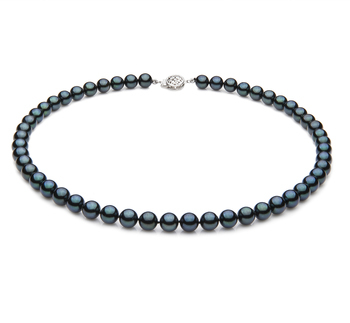 When worn a black Japanese Akoya necklace will enhance the natural colors in any woman’s complexion. They will also help the wearer to make a statement showing she’s not afraid to stand out in a crowd. So if you’ve never considered owning such a piece of jewellery before, hopefully, you’ve now decided the time is right to add one of our beautiful black Japanese Akoya necklaces to your jewellery collection.